As a South African, I thought I knew what the Mandela Effect, also known as the Madiba factor, was. It originated on the day Nelson Mandela was inaugurated as South Africa’s first democratically elected president on 10 May 1994. Having stood in the crowd at the Union Buildings and waved our flags, we returned home and sat down in front of the TV and watched an international football match — South Africa versus Zambia. And we won. Nel;son Mandela had gone from the Union Buildings to the FNB Stadium by helicopter, and was watching the match in person. The next year, 1995, South Africa won the Rugby World Cup, and Nelson Mandela’s role in that was documented and made known to world through the film Invictus. In 1996 we made the trek to the FNB Stadium, and saw South Africa play Tunisia in the final of the CAF Africa Cup of Nations. Nelson Mandela was there, and South Africa won. The Mandela Effect was well established, especially when people noticed that when he wasn’t there, the South African team usually lost. More recently I began frequenting the Quora web site, where people ask questions and others answer. I found I could answer a few questions, and answered a couple about Nelson Mandela. Then I began seeing lots of questions about the Mandela Effect, but they were quite incomprehensible, as were the answers. I asked about it on Quora, and got largely incomprehensible answers. One said it had something to do with lots of people forgetting or remembering things, but with no explanation of how Mandela came in to it. I wondered if it had anything to do with the film Invictus, as it seemed to be something spoken about mainly by people outside South Africa. So can anyone explain to me how there came to be two Mandela factors, with completely different meanings, one known to people within South Africa, and one, apparently, known mainly to people outside? And what does it have to do with Madiba? For the last few days I’ve been seeing a lot of comments about something that happened recently in the rugby world. There have been posts on Facebook and tweets on Twitter and people are apparently taking sides and arguing about what happened and the rights and wrongs of the affair. I haven’t had anything to say about it because I don’t know what happened, other than that someone walked out of a TV studio (“Don’t touch me on my studio!”), but from what I’ve seen everyone is expected to have an opinion about it, whether they know what happened or not. Perhaps the people who think that everyone should have an opinion about it should reflect on the fact that they are the privileged few, and the debate is taking place among the privileged few. Rugby is a sport that you can only watch on TV if you are rich enough to afford dsTV Premium, and most South Africans cant afford it, so rugby is likely remain in its privileged niche for the foreseeable future. The hoi polloi aren’t going to get a look in. Some one once said that rugby is a ruffians’ game played by gentlemen, while soccer is a gentlemen’s game played by ruffians. And if dsTV (or is it DStv?) have their way, it’s going to stay like that. So this particular storm in a teacup is strictly a gentlemen’s affair — the privileged talking to the privileged. Don’t expect the rest of us to have an opinion. We went to Loftus Versveld for a soccer match between Mamelodi Sundowns and Sheffield Wednesday – the first soccer match ever to be held at Loftus, the shrine of Northern Transvaal rugby. There was a curtain raiser with womens’ teams from Kaizer Chiefs and Sundowns, which was actually the first soccer match at Loftus, and possibly the first time women had played there too. Chiefs won easily. Then the Sundowns Masters played The Media, and the Media won. The big match was preceded by parachutists coming down onto the fields, and some people paraded round the field carrying a banner saying “Snor city welomes soccer” – a reference to the civil servants, many of whom have moustaches. It was an exciting game, with plenty of action and movement, and ended in a 2-2 draw. Our daughter Bridget and her friend Tracy were wearing their Intermilan shirts, but got a Sundowns flag to wave too. It was a historic occasion. For a month we’ve had the soccer World Cup, and last night it ended. In some ways we’re sorry. As far as the matches themselves were concerned, we watched them all on TV, so it might just as well have been anywhere else in the world. We did try to get tickets to the Serbia-Ghana match in the local stadium at Loftus Versfeld, but the online booking system kept saying that there were no tickets available, though when we watched it on TV, there did seem to be some empty seats — perhaps those were the more expensive ones. People drove around with flags on their cars, and yes, they probably wasted a bit of petrol, but they also were conversation starters with strangers in the street, the newspaper sellers, the garage attendants, “Who will win?” and when South Africa was out, “Who do you hope will win?” It broke through the urban reserve, and made people more friendly. And it was good to see two teams that had never won it before in the final. Our neighbourhood crime watch predicted an increase of crime durung the World Cup, as police were redeployed to match venues. But the police who were left seemed to be extra-vigilant, patrolling more, and actually there seemed to be less crime than usual during this period. There were warnings of child abductions by human traffickers, but there didn’t seem to be a great increase in those either. The dire predictions in the overseas press (especially the British) about how disastrous it would be were never fulfilled. Some British newspapers produced an “expert” who predicted earthquakes in Durban and Cape Town during the World Cup, even though no part of South Africa lies in a major earthquake zone. In fact the 2012 Olympic Games in London are more likely to be disrupted by volcanoes. 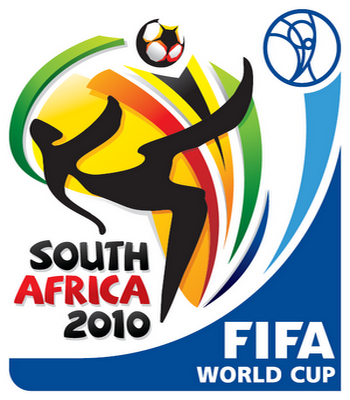 The London Daily Mail in particular appended to every report of crime in South Africa the observation that South Africa was to be the host of the 2010 World Cup. Well, there were no earthquakes, and no terrorist bombs wiping out Spanish and Dutch royalty and other VIPs at the final. Among the high points was the referee from Uzbekistan, who reffed the opening match. Kudos to him. Among the low points was Uruguay’s cheating to reach the semi-finals. We listened to the 3rd/4th place playoff on the radio as our son was watching a movie on TV, and the booing when Suarez (Uruguay’s cheater in chief) got the ball was audible above the droning of the vuvuzelas. Among the entertaining diversions was Paul the Octopus’s uncannily accurate predictions of the results of the last few matches, which coincided with the feast of St Euphemia the Martyr and so provided material for my sermon on Sunday morning. The opening and closing ceremonies seemed pretty good as such things go, but then we’ve had experience of such things before, having hosted the rugger World Cup an 1995 and the African Cup of Nations soccer tournament in 1996, both of which we won, and temporarily, at least, they helped to foster a sense of national unity. Those for the cricket world cup a few years ago were also quite memorable, even though we didn’t win that time. And for this World Cup they were at least as good as the extravaganza put on at Beijing for the Olympic Games two years ago, without going on for too long. At the closing ceremony I first became aware of the World Cup theme song, “Waka Waka”, sung by Shakira (whom I’d never heard of). The song that I associate with the World Cup is the Coca Cola advertising song, “When I get older, I will be stronger”, which seemed to be much more prominent, and probably shows just how commercial the whole thing is. And here are some assessments of the World Cup by foreign journalists, some positive, some negative, noting that the core of the World Cup is big business. Despite dire predictions, the stadiums were finished on time, the infrastructure improvements got done, security was leakproof and, other than some minor hearing loss, no one got hurt. Spain won the Cup for the first time, the final was an entertaining — more so for all the fouls — match, an octopus became the Edgar Cayce of soccer psychics and the folks who keep track of such things say that as many as a billion people watched the final match. Yeah, South Africa needs a lot of improvements in a lot of areas, just like most other countries in the world. Yeah, there are other places the reported $4 billion it took to build all the new stadiums could have been spent. But this was money spent on an event that riveted South Africa’s attention for years and consumed it for a summer. It was money that made people feel good about themselves and their nation. It brought people from all over the world to a place they otherwise never would have visited. For the past month, I’m sure, life was pretty exciting in South Africa. And the corporate partners know how to use the muscle. In the World Cup zone you can only use an ATM if you have a Visa card. McDonalds are everywhere. This column attended a domestic league match here during a working visit eight years ago and the walk to the stadium was a long ramble and graze through a never-ending line of street vendors. For the World Cup, that particular flavour of Africa has been disappeared. Sponsors’ tents are the only thing selling anything within the commercial exclusion zone around the grounds. The humourless nature of this pin-striped Mafia pervades everything. The heavy-handed treatment of the brewer Bavaria Beer for its amusing skirmishes was no surprise to those who had watched the local budget airline, Kulula, suffer the threat of legal action for using the mildly amusing slogan “the unofficial national carrier of you know what”. Even the acts which opened and closed the tournament to such high visibility were bought in from a international promoter with just a token smidgin of African music thrown in. But even being aware of that, I think the positives outweighed the negatives. And some of the positives were apparent even before the opening match. Loftus Versveld rugby stadium in Pretoria needed to be prepared for the World Cup, so the Super-14 rugby matches were transferred to Orlando Stadium in Soweto, 50 miles away. The supporters of the Blue Bulls, the Pretoria rugby team, are largely Afrikaans-speaking, and twenty years ago most of them would have been supporters of the National Party. And what took place was a minor transformation. “Transformation is first about behaviour and second about attitude,” a sweaty, vuvuzela-blowing, horns-in-hard-hat Blue Bulls supporter said as he offered me a Captain and Coke in a shebeen deep in Orlando West. “I used to think it was the other way around, but crossing the boerewors curtain, coming to Soweto and watching die Bulle, my manne, wen has changed my life forever” he enthused. “And if they’d lost?” I innocently enquired. “Ag, voetsek man!” he laughed. But therein lies the rub. But for the change of venue 60 000 Bulls supporters would not have made it to the semi-final and the final in Soweto. They would have played at Loftus and their attitude would have stayed north of the curtain. When residents of the still largely white suburbs of Pretoria braaied on the streets with residents of the still overwhelmingly black Soweto, something has changed, and some of the wounds inflicted by apartheid are beginning to heal. Maori rugby too racial for South Africa? In one of rugby’s great ironies, the proposed match between New Zealand Maori and the Springboks in June could be canned because of the racial composition of the Kiwi side. The match, mooted to be played in Soweto as one of a couple of warmup clashes for the Boks before their series against the British and Irish Lions, is now in doubt because of logistical issues, primary of which is South African objections to the ‘racial’ selection of the Maori side. The Boks are due to meet Namibia in Windhoek in late May, but wanted to add the much tougher fixture against the Maori lineup in June as a final shakedown. The irony is more delicious than they can imagine. Back in the bad old days of apartheid the South African government banned a New Zealand rugby team from touring South Africa because it included Maoris. They said that constituted “outside interference in our domestic affairs”. At the time I was a student in Pietermaritzburg, and as white elections were impending Nusas (the National Union of South African Students) organised a “Reality Week” in which spokesmen for the various political parties could put their own viewpoints. The National Party was represented by a provincial councillor called Klopper, and it took the form of a debate with a representative of the Liberal Party, John McQuarrie, who was a member of the education faculty at the university. All the rugby fans were there in force to heckle. “Mein Kampf”, and Pavlov’s puppies burst into clapping and cheering. generally considered right-wing and conservative, like Howie Miller, who had had a far-right manifesto for the SRC election. Klopper always ended up by saying, when pressed by each successive questioner on this subject, “The Minister in his wisdom sees fit”, and eventually Ray Rutherford-Smith added “… in his infinite wisdom.” When some people questioned the wisdom of the Minister, Klopper assured us that he was an “honourable man”, and an “upright Christian” — yet he won’t let Elliot Mngadi or Dennis Brutus attend church services. Colin Webb asked him about two things he had said in the course of his speech. One was that all races are equal in the eyes of the government, and the other was that he himself had helped personally with cases of many people who had done themselves the injustice of applying to be classified as coloured (“you pay for that,” a coloured in the audience has shouted when he said it). Colin Webb asked him why, if all races were equal, it should be an “injustice” to be classified as coloured. “But you don’t understand,” exclaimed Klopper, “they did themselves the injustice, they asked to be classified as coloured.” Three times Colin Webb tried to explain to Klopper what he was getting at — that if all races are equal, then there would be no injustice in being classified as coloured, but Klopper could not see it. rise in intelligence, and so Martin Luther King was a white man, because he is too clever to be a kaffir. To judge from Klopper’s efforts tonight, he must, according to his own theory, be a black man. In his summing up he said he was glad to see that people had only questioned him about little things, which showed that they must be satisfied with government policy in the broad front. McQuarrie ended his summing up by asking whether the gold mines belonged to the black people or to the white people. If to the white people, did they belong to the English or the Afrikaans speaking? And then pointed out the futility of trying to divide things up in this way, seeing that the land belonged to all the people in it. “The earth is the Lord’s,” he quoted. consistently refused, Klopper had wavered, first saying that he wouldn’t come if the meeting was held under the auspices of Nusas, and then wanted guarantees that there would be an all-white audience (in the event the audience wasn’t all white) but he came none the less. Also, he kept his temper throughout the tough questioning he received. And at the end the fascists were no longer clapping him. So now I wonder — if the New Zealand government decided to call the Maoris white, would we still play them tomorrow?